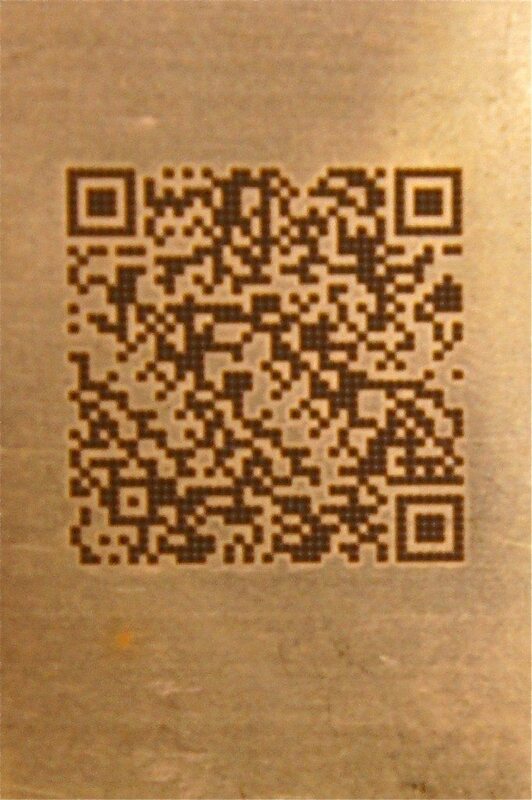 Laser marking of QR Code (Quick Response Code) on copper substrate. We have capability to laser mark QR Codes on almost any type of material. QR Codes are quickly becoming the standard for product identification, marketing and security applications. Potomac can link QR Codes to your website, databases or any other location that you specify. In addition, we can turn parts around in less than a day. Please call or Email us today to discuss your QR Code application.